In both the community and the courtroom Lane V. Erickson has advocated for his clients for over 18 years. Lane’s practice includes all aspects of Estate Planning and Probate; Business Creation and Business Planning, Real Estate transactions and foreclosure, Employment Law and general litigation. Lane has appeared in state and Federal courts as well as numerous arbitrations and mediations throughout Idaho and Utah. As a partner with the Racine Olson Firm, Lane leads the knowledgeable Idaho Estate Planning Team in all areas of Estate Planning, Probate, Trusts, and Elder Law. Lane has gained knowledge and experience in representing hundreds of individuals and families in resolving their Estate Planning and Probate needs. Lane has also used his extensive knowledge and experience in helping numerous Idaho Business Owners create and operate their businesses. 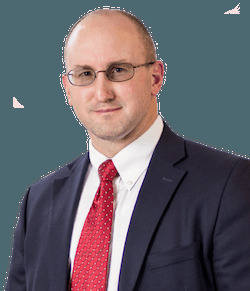 Lane has assisted in all aspects of business for his clients from the creation of partnerships, LLCs and corporations to the dissolution of these business relationships. Lane’s experience in Idaho Real Estate has included everything from multi-million dollar business and commercial transactions to simple residential sales. Additionally, Lane has been involved in several litigations concerning boundary line disputes that have been resolved successfully in favor of his clients. Further, Lane regularly teaches seminars and trains others in all aspects of the Idaho Landlord and Tenant relationship. Having represented both landlords and tenants for years, Lane has also become a real estate investor and a landlord himself which makes his knowledge hands on and practical. Lane’s Idaho Employment Law experience includes over 18 years of representing both employers, large and small, and employees. Lane has successfully defended his Employer clients against claims made by Employees. Lane has also successfully represented many Employee clients in reaching settlements worth hundreds of thousands of dollars. Lane regularly attends national training in the areas of his practice. Additionally, in the last decade, Lane has lectured frequently with Sterling Education Services, Inc., and the National Business Institute, Inc., providing instruction to other attorneys on legal areas including estate planning, landlord-tenant law and employment law issues. Lane also contributes time representing the Guardian Ad Litem for CASA (the Court Appointed Special Advocate) in protecting children subject to abuse or neglect. Locally and nationally, Lane has been highly involved in the Bar Examination Process and Procedures. For over a decade Lane has served as the Chair of the Idaho State Bar, Bar Exam Drafting Committee, and on several other Committees concerning Idaho’s incorporation of the Uniform Bar Examination and as a member of the Idaho State Bar Admissions Rules Committee. Lane was selected to be and served for over 7 years as a member of the national Special Committee on the Uniform Bar Examination through the National Conference of Bar Examiners and helped in the introduction and inclusion of 26 states in adopting the Uniform Bar Examination. You can call Lane toll free at 877-232-6101 or 208-232-6101 for a free consultation. You can also email Lane directly at lve@racinelaw.net. Lane will answer your questions and help you with your legal needs.